My name is Mandie, let me tell you a little bit about myself and I hope that will enable you to decide whether I am the right person to help you with what ever difficulties you are currently facing. I have been working as a counsellor since 1997, following completion of a three year counselling diploma course. I am accredited with the British Association of Counsellors and Psychotherapists (BACP) where I hold senior status, and I have over 19 years experience of working with clients via the telephone and face to face. I also have a certificate in Essential Supervision Skills and I can provide clinical supervision to trainee and practicing counsellors. My clinical experience has been gained by working both privately and for Employees Assistance Programmes (EAP's) providing counselling for the numerous issues that people come across in their lives. 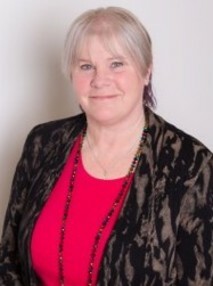 I believe that different issues need different approaches, whilst my core counselling training and the model that underpins my work is in Transactional analysis (TA) I believe it is important to have a wide range of tools and strategies so other models such as Cognitive Behavioural Therapy (CBT) Neuro Linguistic Programming (NLP) and Solution Focused Brief Therapy inform my practice. I have a certificate in Essential Supervision Skills and 9 years experience in case management and providing ad hoc supervision to counsellors. I can provide Supervision to both trained counsellors and trainees - even if you are not yet seeing clients. I am happy to provide either individual or group supervision. Individual supervision can take place over the telephone, face to face or video link such as Skype/Facetime. Group supervision currently would be face to face only.